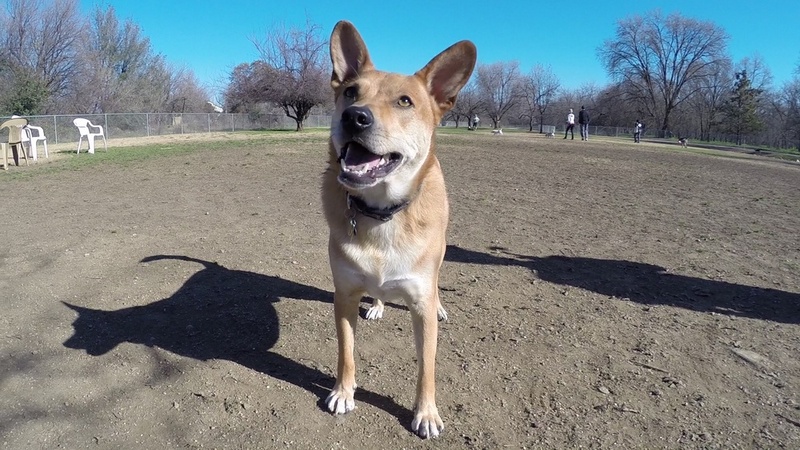 Luke enjoys a sunny day at the Auburn Ravine Dog Park. The Auburn Ravine Dog Park in nestled in the wooded area of Auburn Ravine Park. The park entrance is located at the east end of Moore Road, approximately 1/2 mile from Joiner Parkway. The dog park is a large off-leash facility with two sections: one section for small dogs under 20 lbs and a larger section for large dogs. Plenty of shade and tables are available. Thanks Ron. Nice to see our tax dollars well spent.